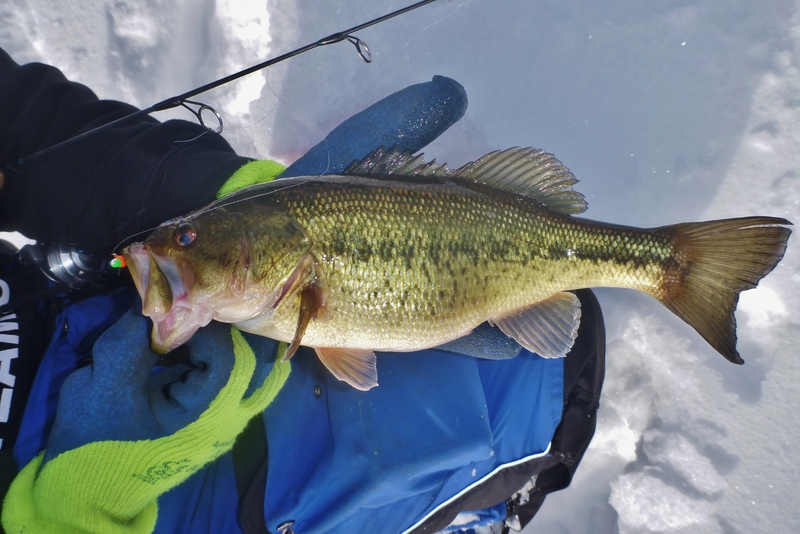 2-9-14 – Bass And Bows… On Accident! While bass and rainbows weren’t the intended target for the day, they composed quite a bit of the catch. 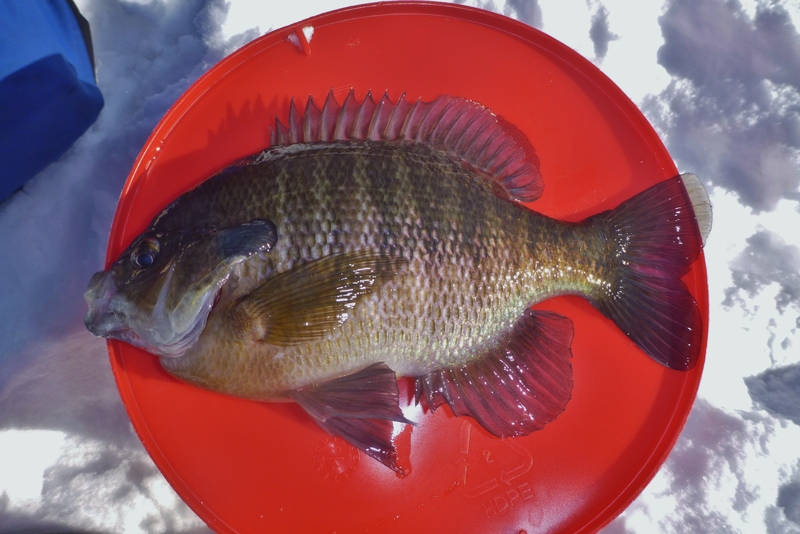 I was on a lake with very little weed structure so I knew the bluegill would be deep. Starting off in about 30 feet of water my first batch of holes covered a 25-35 depth range. Right off the fish were making on my Vexilar. 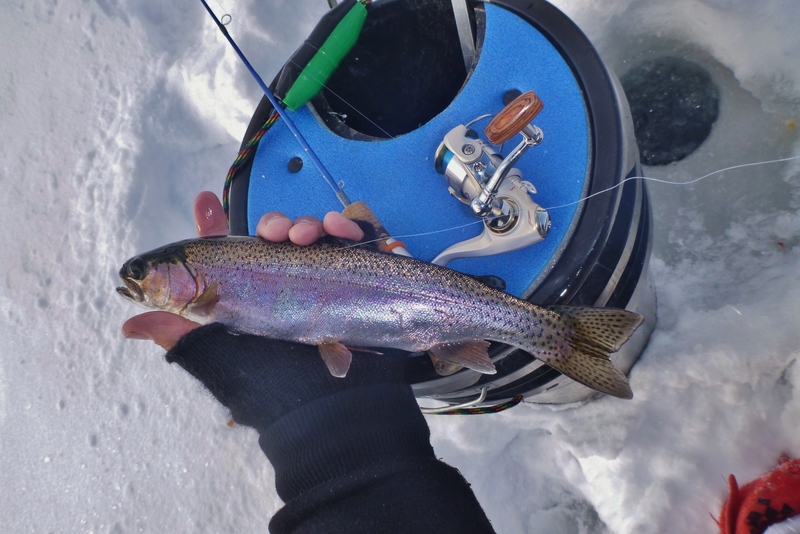 A few minutes into the day I hooked up with a rainbow, and then another, and then another. As I worked shallower, the bass started to bite as well as a few smaller bluegill. Creeping up on a new hump that I stumbled upon, the gills started to get bigger. By noon, the gills were nice sized and stayed consistent. It was a great day on the water! Previous Post2-8-14 – Round 3 VSHTSNext Post2-10-14 – Where Is Everyone? I’ve had days like that. 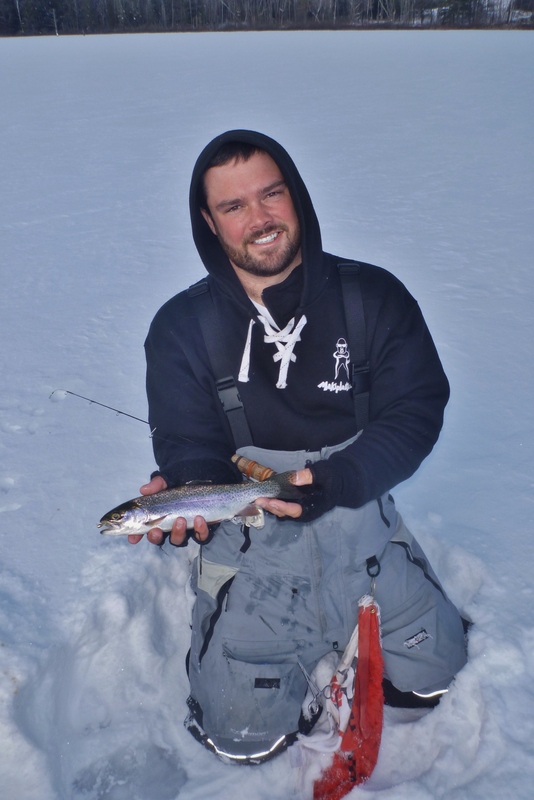 Start out fishing for walleye and end up catching Smallmouth and Steelhead.